Car dealerships are dropping the ball in Memphis and the surrounding area in terms of capturing potential customers from the Internet. On a monthly average there are over 14,000 searches for the keyword term “Memphis used cars” and related long-tailed variants of this keyword on Google. 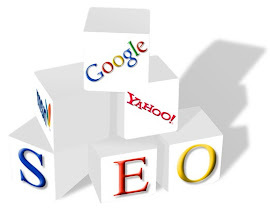 This does not take into consideration the other search engines like Yahoo, MSN and other smaller search engines with the 14,000 being on Google only. Combined, Memphis used cars and other Memphis used car long-tails are probably searched more than 16,000 times a month on average if you take into consideration the other search engines. This is being conservative since I rarely look at Yahoo and MSN since Google is the alpha dog among search engines and I don’t know the exact results for Yahoo and MSN, nor do I care. When I say that car dealerships are dropping the ball in Memphis, I mean they are not optimizing their websites for these searches. Of course car dealers show up on the first page of Google in all 10 of the slots but not because their websites have been properly optimized for “Memphis used cars”, because they haven’t,,,I checked. I did my own research and none of the top ten results are properly optimized for “Memphis Used Cars”. Google’s algorithm is sophisticated enough to understand what the user is searching for and brings up the most relevant result from within the Google index. However, a savvy dealership could take the first position if they were knowledgeable in SEO. I visited a few dealer’s websites in the surrounding area and looked at the source code of their sites and what I found was amazing or appalling, depending on who you ask. Either their webmasters or advertising firms know nothing about search engine optimization, or the dealers just don’t understand how powerful a properly optimized website can be in terms of generating traffic and potential customers. Google does not place a great deal of emphasis on meta tags the way Yahoo and MSN does. But from looking at the meta tags in the source code of these dealerships websites, it was obvious that keyword research was severely lacking by whomever input the meta tags on their websites. “Memphis used cars” receives a total of 5400 searches on average every month. Various other long-tailed terms related to Memphis used cars made up the rest of the 14,000 searches, again all on Google. I don’t know much about the used car business but I do know enough that sales managers would kill for an extra 5000 or more visitors to their website every month. So why are they not optimizing their websites for the most popular keywords that are searched each month? The source code reveals that they are relying mostly on meta tags for search. While looking at the meta tags in the source code of one dealership, it appeared they had placed the entire car lot in their meta tags, naming each model. Unfortunately, this will not help very much with Google. Keyword stuffing meta tags used to be the things to do and it worked. No longer. Spammers and black hats used to use this trick to dominate the SERPS’s(Search Engine Results Page) to great effect, but it is not effective any longer. If you want to rank high on Google and this is what any self-respecting webmaster should aspire too, concentrating your efforts on off-page optimization is the only choice. Fortunately for car dealers in Memphis, off page optimization is so weak on most dealers websites that the first position could be taken rather easily, if they had the knowledge and resources. What amazes me the most about this situation is car dealerships are excellent marketers in most cases, especially in the other three venues for marketing: Television, Radio and Newspapers but fail completely on the Internet. I can be contacted at seomemphis@gmail.com if any of the local car dealers want any help in getting your share of the 14,000 monthly searches for “Memphis used cars” and it’s long-tailed variants on Google, especially in the current economy. "97% of consumers search for local business online. Be there when they're looking for you with Google Places for business." Need Help Moving Your Website Up In The Search Engines? Is Your Competition Beating You?